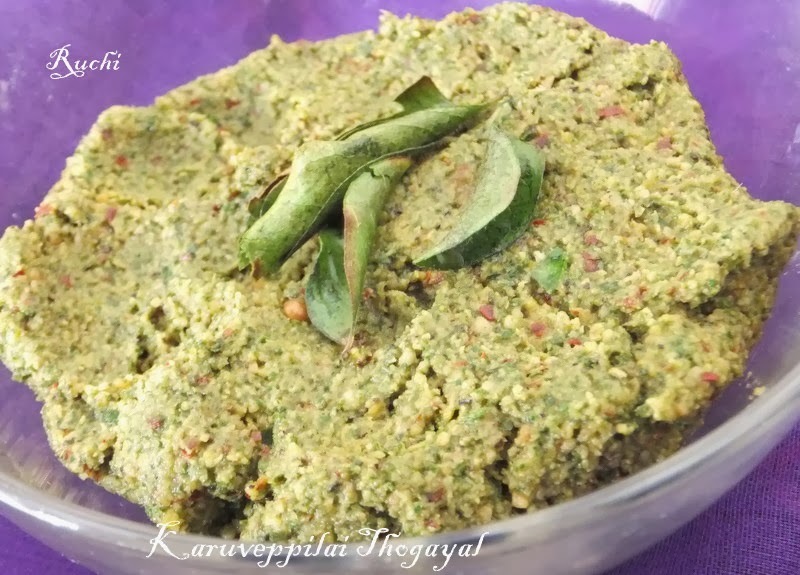 Karuveppilai/ Curry Leaves Thogayal / chutney is very traditional and very Popular in the south. It is quite simple to make. In my home I used to make Karuveppilai Podi and stock these powders at home. 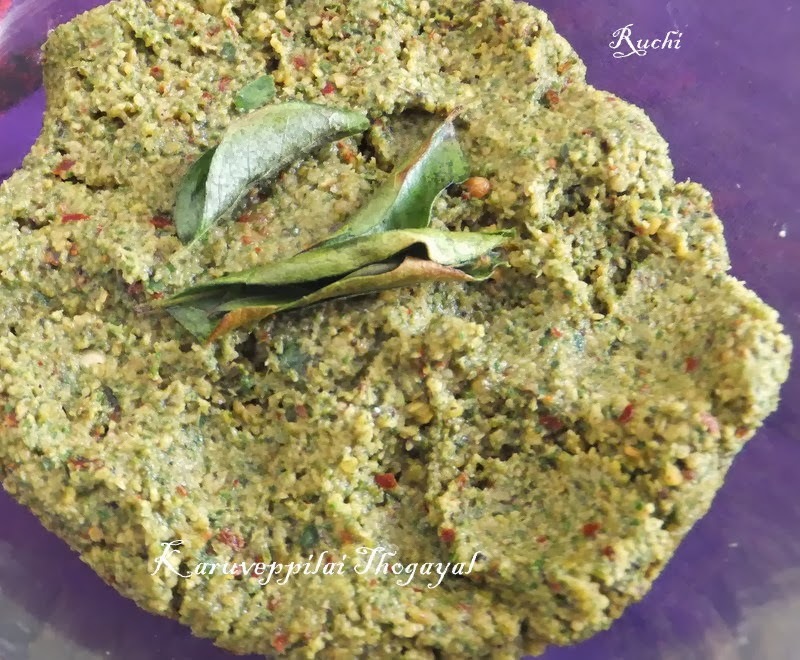 This thogayal and Karuveppilai Podi has such a wonderful aroma and tastes heavenly, when mixed along with ghee / gingely oil and hot steamed rice.This can be had with idli, dosa also. 2. In a small kadai, add 1 tsp oil and roast the uraddal, Pepper red chillies till the dal turns light golden colour. Keep this aside out of the kadai. 3.In the same kadai, add 1 tsp oil again, heat it on sim and add the curry leaves and fry till it turns light crispier. Immediately switch off the stove and transfer the contents to a mixie and allow it to cool for few minutes. 5. The mixer ingredients should be like a thick ball. You should grind it like a firm mass by adding water very little by little. If the water goes little more also, it will become like a paste. 6..Remove the contents out of the mixie and using your hand, make it like a shape of a dough / ball like and store it in a vessel and serve.with Hot Rice.